Totally harmonious – a basic prerequisite for a true-to-nature audio experience is speaker playback that is free from distortions and has a balanced tone. We achieve this aim by using only premium components and creating a perfect interplay between the housing, drivers and crossover network. Nothing is left to chance and everything is meticulously synchronised. of 80 to 150 Watts. We are of the opinion that only the speaker chassis of a loudspeaker should generate sound. It is designed with this in mind and continually fulfils this task with outstanding quality. The housing, on the other hand, should not generate any noise, so as not to distort the music signal. The closed housing of the H1 is made of Corian, a combination of minerals and acrylic resin. This thermoplastic malleable compound material is characterised by its particular flexibility, purity and durability. 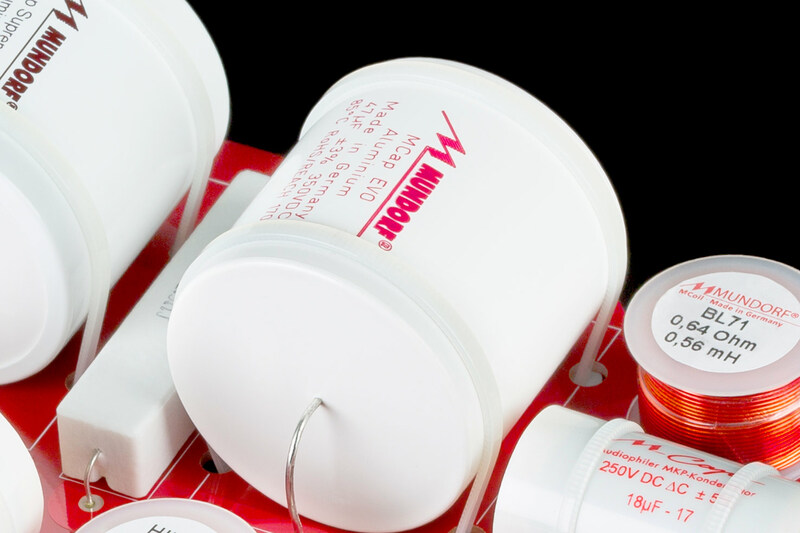 It allows the construction of housings that have a perfect ratio between rigidity, damping and mass. This prevents the natural vibrations of the housing and an acoustic permeability of the sound. Since there are no surfaces which run parallel to each other inside the H1, no resonance or stationary waves can occur; the sound rendered in the housing is reflected in different directions until it is fully absorbed into the box through the absorbing materials – sheep wool and felt. 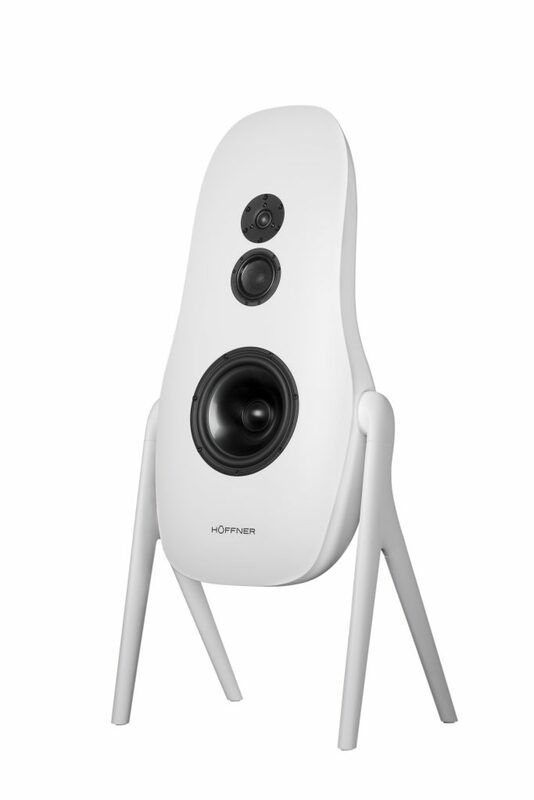 The special design of the speaker face ensures an optimal and harmonious distribution of sound within the space. And because every space is different, the H1 can pivot on an axis – so you can quickly find your individual sweet spot at home. Also note: the legs are equipped with screw threads (M8) – spikes can be affixed if so desired. Our premise in the selection of drivers: Minimal distortion and maximal linearity. The 26 cm Woofer chassis has a tortion resistant membrane made from aluminium, which operates linearly across the range of the necessary frequency band. In combination with the low-loss suspension and a strong ferrite drive system, this leads to a precise, dynamic and exceptionally rhythmically agile bass response. 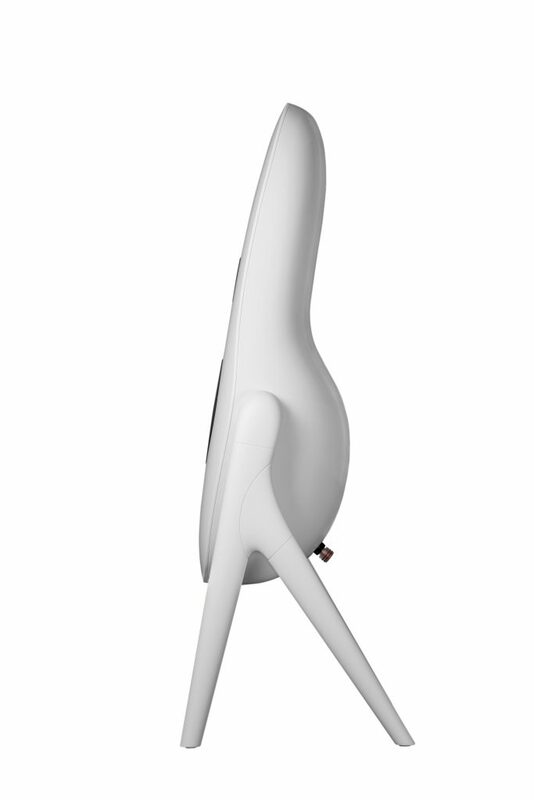 The 12 cm midrange chassis has its own volume within the housing – so it can operate virtually undistorted. The combination of an extremely strong neodymium drive system and an ultra-light, high-dampening paper membrane allows this chassis to play with a particular clarity and a premium tonal distribution. 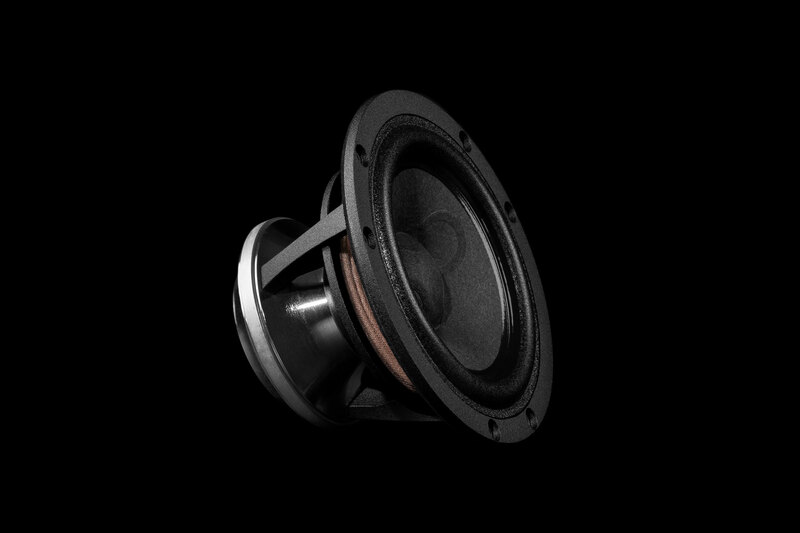 For the icing on the cake, the treble range is responsible for a premium dome tweeter. Its 26 mm textile membrane offers an incredibly distortion-free frequency response with an extraordinarily homogenous sound distribution, at a working range of over 30kHz. 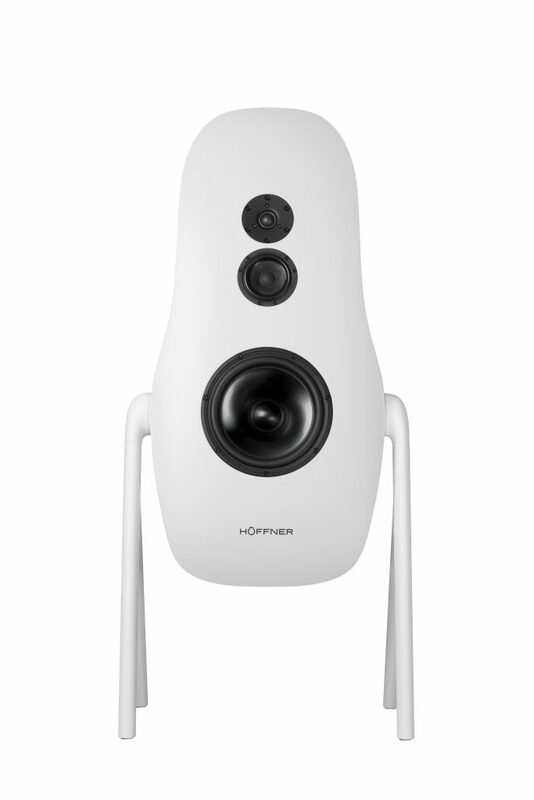 As a result, the H1 guarantees an excellent, vivid and delicately ethereal tuning of the music signal in all listening positions. Every orchestra needs a conductor, so that all the participants operate in harmony with one another, as a unit – this is particularly true when it comes to the right cues and correct tuning. 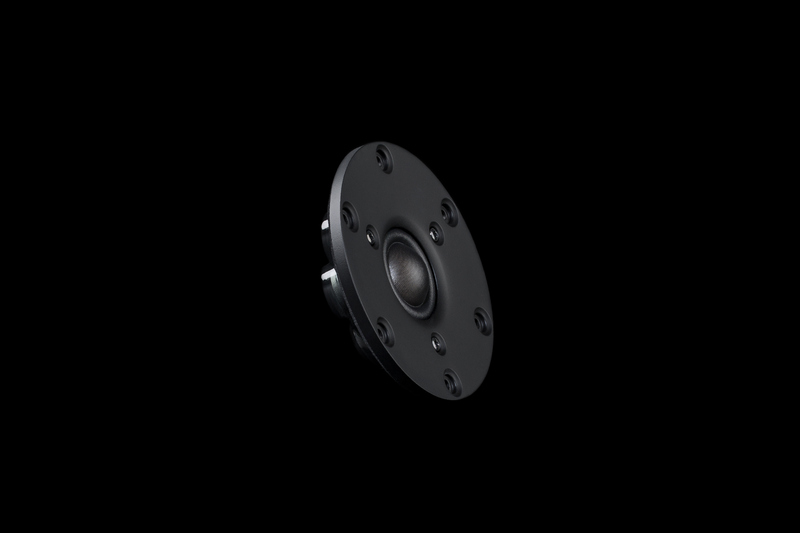 When it comes to our loudspeakers, we work according to the following requirement: perfect temporal accuracy and uninterrupted tonal transitions between the different chassis. Overseeing this teamwork is a crossover network with high-end components from the Mundorf manufacturer – soldered by hand with silver solder. Our crossover networks are developed together with the loudspeaker chassis, forming a larger network, so to speak. 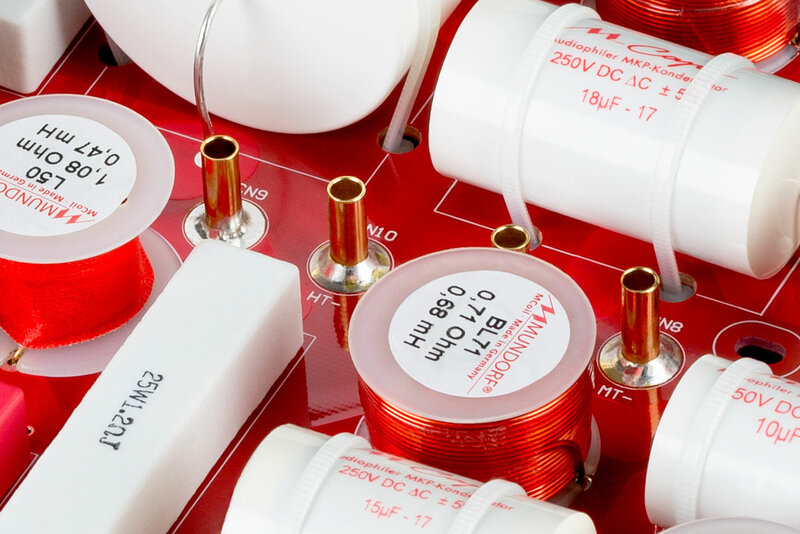 As a result, they are resistant to resonance and do not pose a significant challenge to any connected amplifiers. 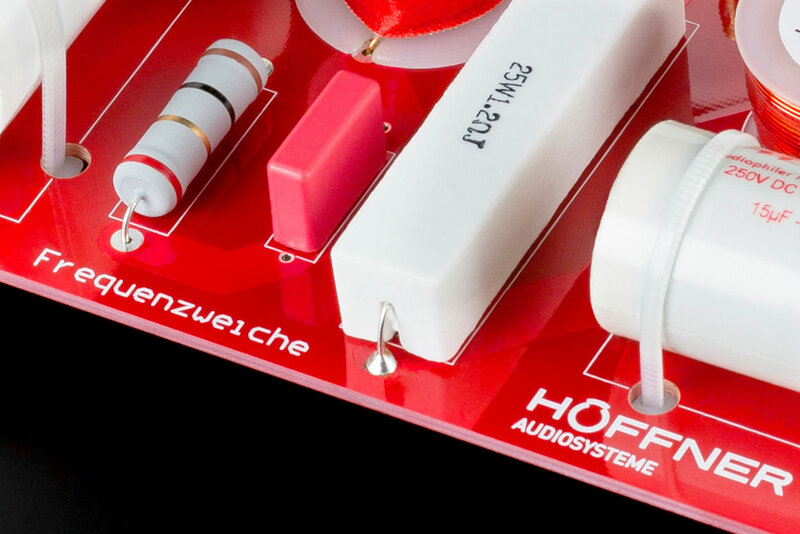 While most passive loudspeakers are optimized in either the frequency domain or the time domain, the proprietary Höffner development environment allows us to synchronously optimize frequency and phase response. 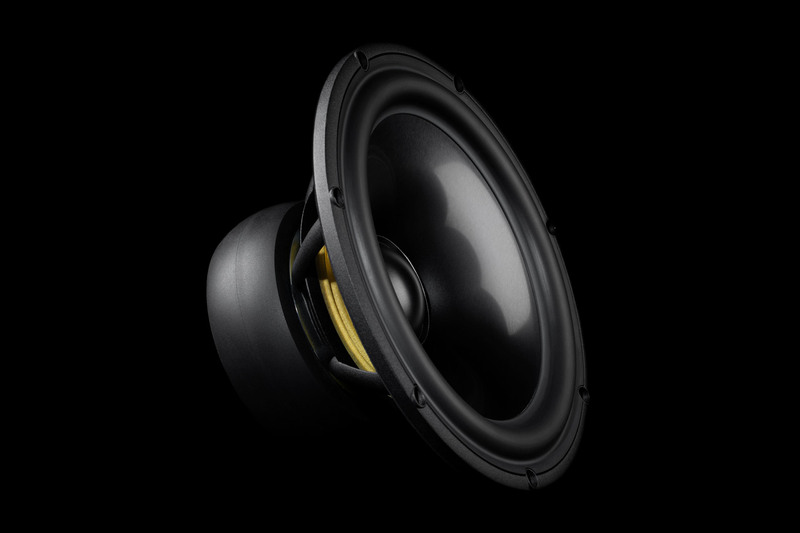 The result is a sensationally smooth frequency response with minimal phase deviation. In the range of 200 Hz – 20.000 Hz we can realize a maximum amplitude deviation of ± 1dB at a relative phase of maximum ± 5° in the complete overlap range. Both the chassis and the components of the crossover network are selected in pairs, hence the serial tolerances which are already very low are reduced a further time and tonally-identical pairs emerge for a crystal-clear, holographic reproduction. The robust design of the crossover network holder, the circuit board, and the enormously strong dimensions of the tracks provide outstanding conditions for the construction of an excellent crossover network – Made in Germany.